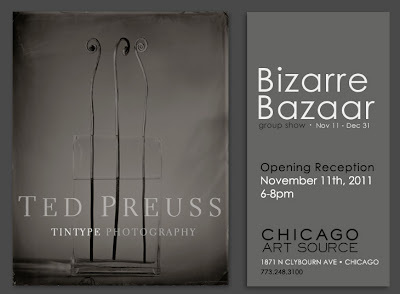 Ted Preuss - Blog: Bizarre Bazaar! Exciting news, I am pleased to announce that I will be exhibiting my tintype still-life series at Chicago Art Source in two weeks. I love the kind of elegant starkness that this process lent in their creation. Exhibit runs through December 31st.